Community-led Total Sanitation (CLTS) is an approach, under the government’s Swach Bharat Mission (Gramin), which is based on triggering collective behavioural changes among rural communities to adopt hygienic sanitation behaviour and guarantee access to toilet facilities for all households. With the belief that collective benefits, as a result of putting an end to open defecation, can encourage a more cooperative approach, the CLTS approach concentrates on the entire community rather than on individual behaviours. Under the Swach Bharat Mission (Gramin), a team of motivators were selected from select Gram Panchayats; and their capacities were built to facilitate the implementation of the Total Sanitation Campaign (TSC) using a community-driven approach. Among these motivators were two Soochna Seva team members who underwent a five-day training programme to facilitate them to launch awareness campaigns, trigger community exercises, build capacities of others in the community, and monitor efforts and activities under hygiene and sanitation. The motivators have the responsibility to ensure that the respective communities assigned to them take ownership; and enable community members to do their own sanitation profile through appraisal, observation and analysis of their practices of open defecation and thire effects. 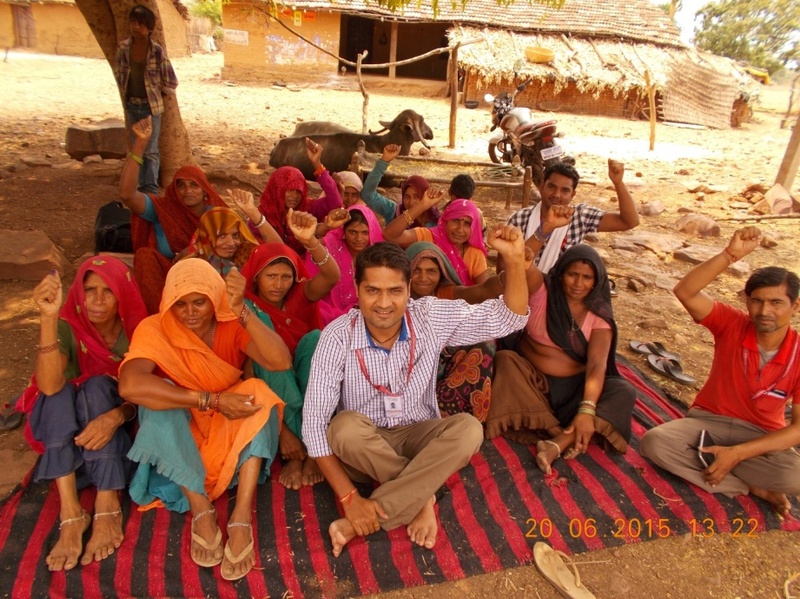 In Umri panchayat, Madhya Pradesh, CLTS facilitators initiated the campaign with a pre-defined questionnaire. They visited every household, and recorded the details on a short proforma. This not only provided baseline information but also helped the teams to learn more about the community and establish rapport with them. The next step was to map the community and their defecation areas to find trigger points. By mapping the chain of effects from each defeaction area, motivators were able to highlight catalysts to initiatie a process of behavioural change using a participatory approach. CLTS facilitator and Soochna Sevak Rajaram Dhakkad has been an enthusiastic motivator of the campaign so far in Guna block of Madhya Pradesh. His regular interactions and follow-ups with the community have led to some good responses. In Dhamkam village of Umri panchayat, a Soochna Seva-formed self-help group named ‘Jamuni Devi’ has utilised their savings to invest in the hygiene and sanitation drive. With the consent of the community members, funds have been utilised for constructing toilets in every household of the village. While the participatory approach has been instrumental in building a safe and hygienic community that is aligned with the Swach Bharat Mission (Gramin), collective behavioural change have ensured that citizens can now demand for a safe sanitary facilities. Damkan village has been announced as an open defecation-free village by the Jila Panchayat, an achievement that could not have been possible without the collective initiative and conscience of each and every household of the village.